For many years Steinbergs post production suite has been one of their flagship products, in use by producers and editors around the world. 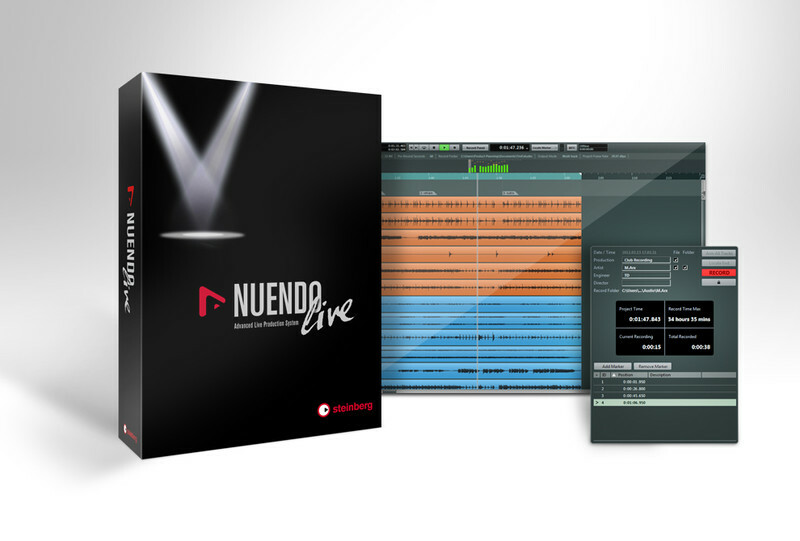 Now Steinberg have anounced Nuendo Live which aims to be a live multitrack recording solution for users wishing to record and edit whole shows and events. Nuendo Live is a professional multitrack live recording solution, perfectly tailored to capture live performances, from club show up to the largest concerts and festivals. Ease of use, utmost stability and an exceptional performance are combined to make your live recording session both more professional and a whole lot easier. Highlights of Nuendo Live include on-the-fly session setup, a convenient record panel, a 60-second pre-record buffer, auto-save functionality and a seamless integration with Yamaha’s CL digital mixing consoles. In plain words, Nuendo Live the ideal choice to capture the essence of now — with superior quality and without any compromises. More information on the Steinberg Nuendo Live homepage. RME come out swinging with a new highend digital card. The RME HDSPe MADI FX promises 390 channels of digital audio which we reckon puts it well into the realms of broadcast users or those recording live sound at some rather epic concerts. 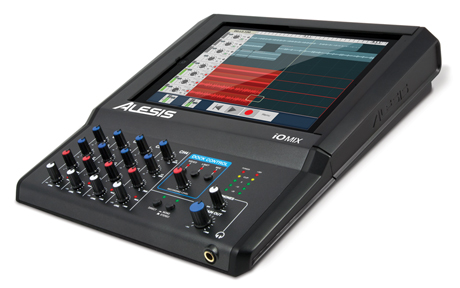 The RME HDSPe MADI FX features 390 audio channels! Three MADI I/Os – two optical and one coaxial – are accompanied by one AES/EBU I/O and one analog monitoring output. To complete the feature set, a Word Clock connection and four MIDI I/Os were added. The complete technology and connectivity are highly integrated into the smallest possible amount of space – typical for RME. Only one PCIe slot is required on the motherboard, plus one free slot opening on the case. To guarantee RME’s unique low latency performance with such a huge amount of audio channels, the RME HDPSe MADI FX introduces a newly developed modular Hammerfall Pro Audio Core. The high-tech core will process three times as many channels as the channel count of the previous MADI flagship, while actually reducing the system load and enabling ultra-low latencies down to 32 samples on modern computers. A sophisticated new efficiency technology will automatically deactivate currently unused channels, so that they require no processing power or bandwidth. A simple stereo playback will not require any more performance than from a standard stereo audio card – despite the use of a professional multi-channel system with almost 400 channels. An innovative new layout of TotalMix enables ergonomic handling of the enormous number of channels. A special option makes it possible to visually hide unused channels. Complete “Hide setups” can be saved at any time, and switched with a simple mouse click, for example between the channel view of the drum mix and the full band setup. The integrated TotalMix matrix conveniently allows the use of the card as powerful MADI router. Unlike most other router solutions, each channel can be routed individually – even with separate level settings for each routing. The unparalleled flexibility of TotalMix can turn the most exotic applications into practical reality. The card also features SteadyClock, RME’s active jitter suppression and the unique professional meter and analysis toolbox DIGICheck – including EBU R128 metering – as well as nearly identical operation of the card under Windows and Mac OS. 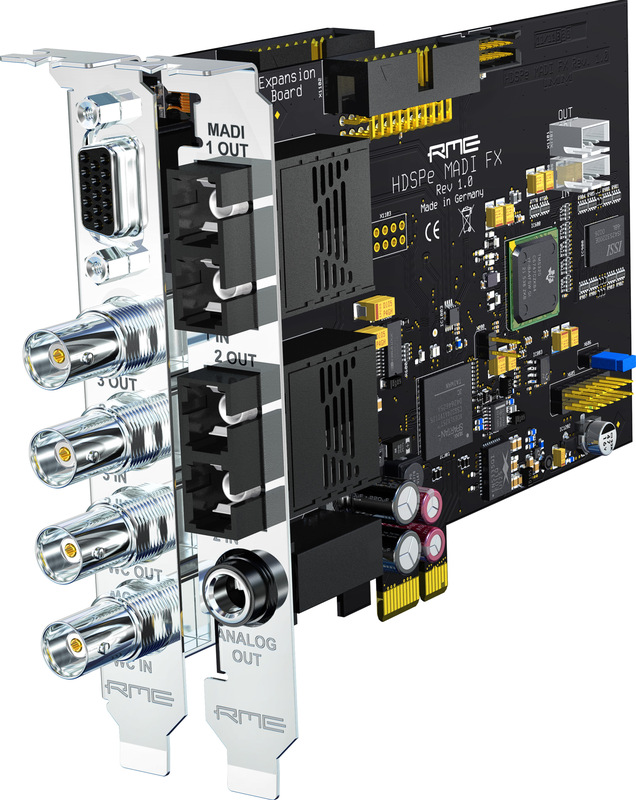 More information available on the The RME HDSPe MADI FX product page. The RME Advanced Remote Control (ARC) is a programable remote control designed to be used with either the RME Fireface UFX or the RME Fireface UCX. Whilst the inital batches of UCX shipped with a cut down version of this unit, the are plans afoot for future units to ship minus a remote and at a lower price, with the option for the end user to upgrade functionality by purchasing the new remote unit should they require it. 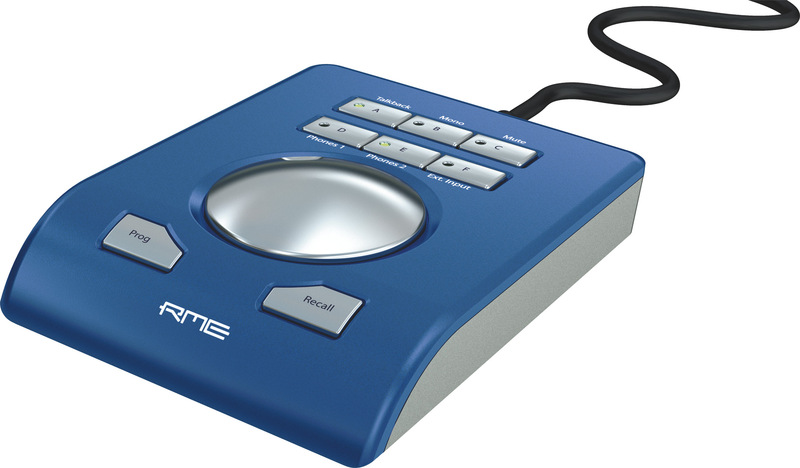 The wired RME Advanced Remote Control (ARC) has been designed for direct access to the most frequently used actions and commands required in a studio’s daily work. Its extremely flexible configuration through TotalMix FX will simplify the workflow and greatly increase the usability of the RME interface in any real world situation. * The RME Advanced Remote Control (ARC) can be used with all Fireface UCX. It can also be used with all Fireface UFX with a serial number 23241707 (built after June 2011) or higher. Upcoming interfaces that feature an Advanced Remote Control connector will also be compatible. Users that own a RME Fireface UFX with a serial number below 23241707 have to send their UFX to their distributor as it requires a hardware modification to be fully compatible to the Advanced Remote Control. This modification is not free of charge. Pioneer expand their DJ range’s overall functionality, by bringing a interesting new effects box to the market. We didn’t quite expect this, but seeing the integration in the promotional video below, it does certainly look a lot of fun in use. The most interesting feature here is the ability to build up and store your own custom effects chains where you can prebuild scenes that allow you quick and easy access during your live performances, ensureing that you don’t have to scramble about whilst your playing. You could certainly craft your own signiture sound by careful selection of the processing taking place and as Pioneer are making a number of “effects of the stars” type packs available upon the units release, you should be able to learn from them and develop your own style fairly quickly. So what do Pioneer have to say? The ultimate multi-use unit, the Pioneer RMX-1000 can be used with mixers, CDJs and laptops in the booth, or with a PC in the studio for recording and producing. With fully customisable settings, the Pioneer RMX-1000 offers the kind of flexibility never before seen in hardware. 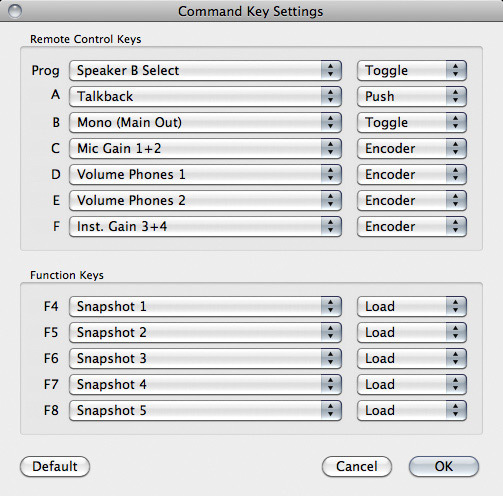 The control parameters can be completely modified using the remixbox software included. The hardware offers three ways to access settings. Default activates Pioneer’s intuitive factory settings. And User settings can be stored on the unit, or on an SD card to be taken along to the booth – DJs simply plug their SD card in to get immediate access to their personalised controls. And Pioneer plans to make settings from internationally renowned DJs such as Chuckie, Kissy Sell Out, Kutski, James Zabiela, Doorly and Laidback Luke available for DJs to download. The Scene FX wheel allows DJs to build up and break down tracks by combining ten types of effects. Use the top section to build up, adding effects like Noise, Echo and Spiral Up and the bottom section to break down, cutting sounds with effects like Crush Echo, Spiral Down and Reverb Down. Twist the central knob to move from Wet to Dry to add pitch and intensity to the effect that’s in play. Plus, two sub-parameter dials allow DJs to manipulate the Time and Resonance parameters for even more character. Inherited from Pioneer’s high-end DJM-1000 mixer, the Pioneer RMX-1000’s isolators allow DJs to change the main audio input’s rhythm and timbre using hi-, mid- and low-frequency bands. Plus, three effects are loaded into the dials for even more flexibility: Cut/Add, Trans/Roll and Gate/Drive. DJs will be itching to get their fingers on the Pioneer RMX-1000’s intuitive X-Pad. Evolved from Pioneer’s flagship mixer, the DJM-900nexus, the touch-sensitive X-Pad reaches new levels of ingenuity on the Pioneer RMX-1000. DJs can instantly get involved with the unit’s drum samples by tapping the individual sample buttons (Kick, Snare, Clap and Hi-Hat), or by using the X-Pad to roll (repeat) the samples at different speeds. DJs can record their own beats and patterns on the fly by switching on Overdub, then use Roll and Mute to manipulate each sample in a variety of impressive combinations. The Quantize button snaps each tap of the sample pads to the nearest beat, so DJs always sound on time. And for truly unique performances, DJs can add up to 16 samples across the four sample banks, which they can instantly trigger and manipulate during live performance. For unprecedented flexibility on the fly, DJs can edit the sample banks through remixbox and even alter them during play. And, as if that wasn’t enough, the RMX-1000’s exclusive Pitch knob alters the pitch to add even more character to each repeated beat. The DJ’s get-out-of-jail-free card, the Release FX allows DJs to elegantly and seamlessly exit complex effect combinations and return to the original track. Three modes with three customisable speeds – Spin Back, Echo and Break ­­­– allow DJs to choose exactly how they want to return to normal play. For even more flexibility, DJs don’t have to exit totally from the engaged effect; they can come partially out and go back in by manipulating the highly sensitive Release switch. Or they can cut the original track out completely so just the engaged effects are heard. Designed by Pioneer exclusively for the RMX-1000, the remixbox software allows DJs to prepare mind-blowing sets – while the hardware leaves plenty of room for spontaneity on the night. And DJs can use the software to modify the unit’s features and change its parameters for a truly personalised DJing experience. 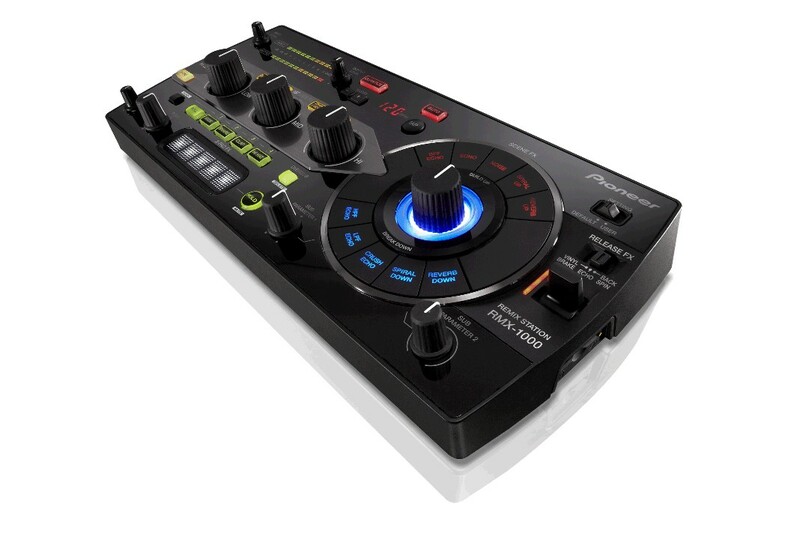 By hovering their mouse over the remixbox’s virtual Pioneer RMX-1000, DJs can edit features, change parameters or adjust effects on the hardware itself. As the first VST/AU controller dedicated to the DJ industry, the Pioneer RMX-1000 brings the operability of hardware into the recording studio. By just plugging the unit into a laptop, DJs and producers can use the Pioneer RMX-1000’s dedicated controls to manipulate the VST/AU’s exciting features. There’s no need to fiddle around with the mouse and keyboard: just hit a button, twist a dial, or turn a knob – the Pioneer RMX-1000 literally puts every effect right at producers’ fingertips. High-quality sound design reduces noise for clear and pristine sound. The Quantize function can be applied at any stage during play or production for real-time music analysis and automatic synchronisation of the beat. NEW Auto BPM function automatically measures and follows the tempo of the music. USB-MIDI connection means the Pioneer RMX-1000 can be used as a MIDI controller. Compact and sleek design makes the Pioneer RMX-1000 highly portable – and it looks good as part of any DJ set-up. The RMX-1000 will be available from May 2012 with a RRP around £600. So, waaay back at the start of NAMM week, we got the first teaser vid of the new Native Instruments Traktor F1 remix controller, which was tipped to be called the X2. Well, now it’s offically surfaced its actually the Traktor Kontrol F1, but the feature set seems pretty much as predicted. Lets take a look from the top down then…..
First thing to notice is the four filter knobs, i’d presume at this point that they would control the same hi/low pass filter thats found on the S4, though of course with these controllers, you can assign them to any parameter in the software to suit your workflow. Next up are the faders, presumably preset to volume, so perfect for doing some manual fades. Then we get down to the control buttons, sync will lock all of the samples loaded to the master tempo, and the QUANT(ize) button will make things lock to beat, so they are come in tempo perfect (the same as ableton) and i expect that the dial will also be able to change the quantize resolution to bar, quarter note etc. Capture and size we still know nothing about, but you can definatly reverse samples so, thats probably what the reverse button is for. As you can see from the buttons, there is no “trigger everything in a line” button, like you find on the ableton controllers, but with four fingers, you should be able to trigger things quite easily, so i cant see that being any great loss. The stop buttons at the bottom are a nice touch too, so that you can easily stop using the decks and go back to regular dj’ing. The Native Instruments Kontrol F1 will be available from at the end of May and will retail at £199, including the Traktor Pro 2.5 Software.